Analog Camera for iPhone: When Is Simple Actually Too Simple? A little over a year ago, Realmac Software released Clear, an iOS to-do list app that made the task of keeping track of tasks easy with a beautifully simple design. Starting right now, you can check out the developer's crack at replicating that success-by-simplicity formula with a $1 camera app. For the most part, Analog Camera for iOS delivers what you'd expect: an unbelievably fast and straightforward app for snapping photos, adding gauzy filters, and uploading the shots to the Internet. You can see the filters and sharing in the screenshots above. There's nothing surprising about this functionality at all. Whether or not you think the app is a success more or less hinges on how impressed you are with the following gesture. With a simple vertical flick you can switch between the camera UI and the gallery view. It's a descendant of the slick gesture-based UI from Clear. That's pretty fast. From there the app works hard at keeping things simple. 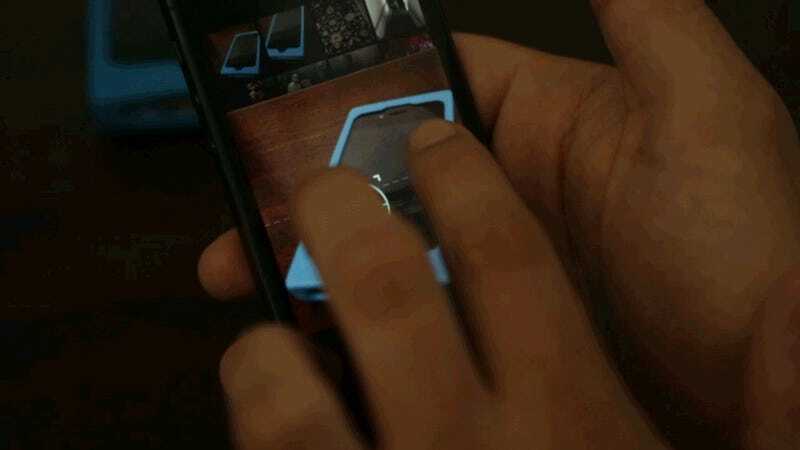 You can tap to pick a focus and point with one finger. A two-finger tap reveals separate boxes for focus and exposure metering. So that the camera can focus in one place and measure exposure in another. That's another wonderful gesture. Unfortunately, it's not a new one. 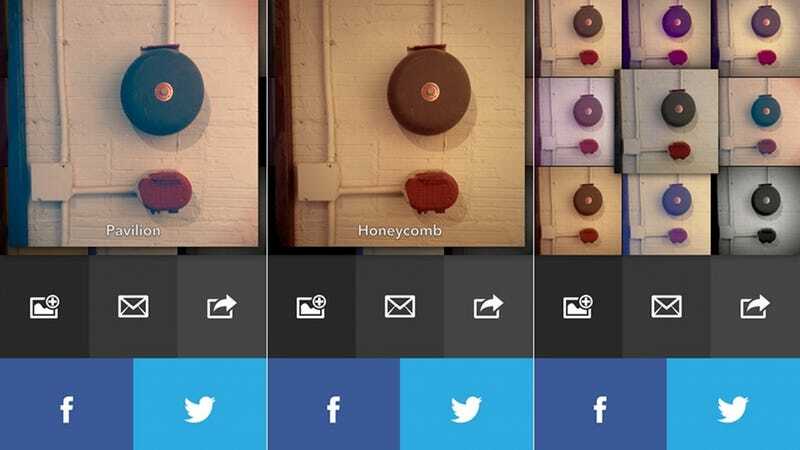 The very popular Camera+ already has this functionality. 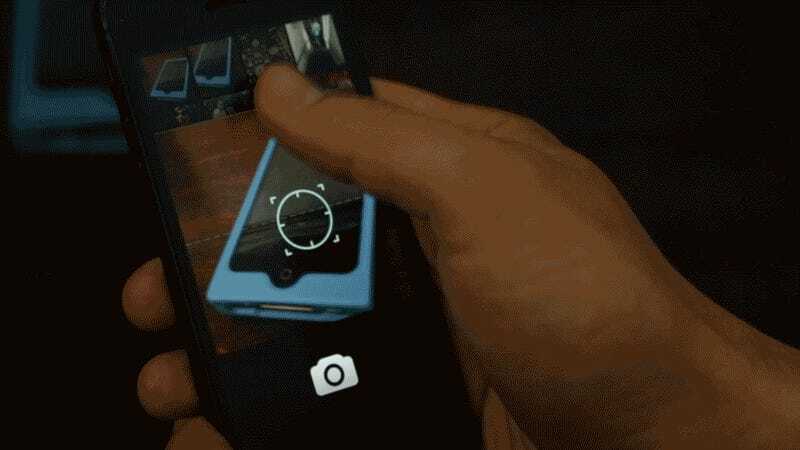 You can't even take a photo with the front-facing camera with Analog Camera! Which says nothing of missing useful features like exposure compensation, which allows you to make you photo a little brighter or darker. Realmac software argues that the simplicity allows you to get to the actual task of taking photos faster without the "clutter" found in other applications. Whether or not you'll like the app, then, sort of depends on whether you think other applications are cluttered.